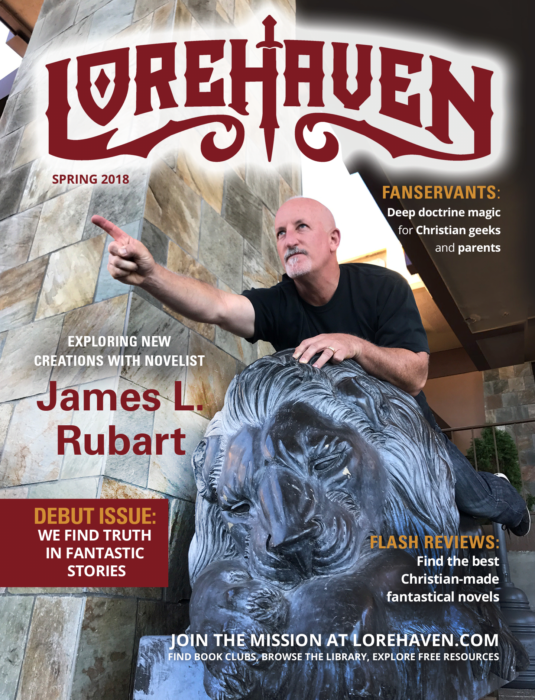 Speculative Faith | Preview Lorehaven Magazine's Spring 2018 Issue Online! 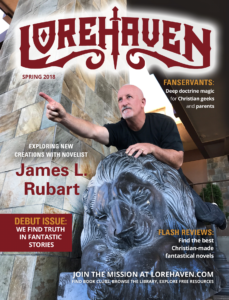 Readers can now preview all of Lorehaven Magazine’s spring 2018 issue, even without subscribing. Last year, Lorehaven Magazine debuted our first issue for spring 2018. Our mission: to find truth in fantastic stories. 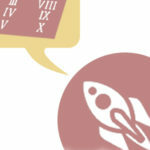 This quarterly magazine can be read exclusively by free subscribers. But, for a non-virtual magazine, you might pick up an issue without subscribing. You might find a copy free in a waiting room. Or you could even (gasp) purchase an issue at the airport. That’s why readers can now preview all of Lorehaven Magazine’s spring 2018 issue. Book reviews: twelve-plus fun, practical reviews of Christian-made fantastical novels . . .
Steve Rzasa’s intro to Lorehaven Book Clubs, continuing now in the Facebook group . . . Featured review of James L. Rubart’s 2018 novel The Man He Never Was . . . Sponsored review of Raquel Byrnes’s steampunk novel The Tremblers . . .
Cover story—in which Rubart explores the “magic” of biblical truth . . .
Paeter Frandsen’s guidance for Christian geeks with strange gifts . 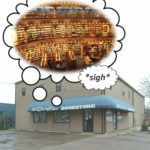 . .
Marian Jacobs’s caution about children who don’t read fantasy . . .
Kerry Nietz’s survey of the worlds of science fiction . . .
Elijah David’s tracking of the Four Horsemen . . . Finally, our Roundtable on fictional violence. Nope, you don’t need to subscribe to read this issue. Not even for free. But if you haven’t subscribed yet, we already have three more 2018 issues awaiting you. And the spring 2019 issue arrives next month. It features 12+ more Christian fantastical novel reviews, Tosca Lee with The Line Between, and beyond. We’ll also showcase issues at the Teach Them Diligently convention in Waco from April 11–13. Texas fanservants, stop by and see us! Meanwhile, keep watching this space for more Lorehaven updates—including a contest you can preview now at our web portal . . .